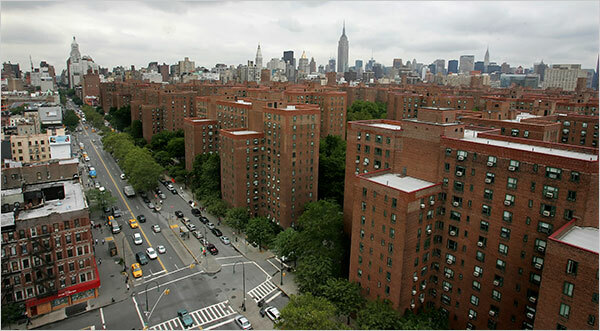 Stuyvesant Town–Peter Cooper Village is a large, post-World War II private residential development, on the east side of the New York City borough of Manhattan. Set in an 80-acre greenspace on the historic corner of Manhattan's Gramercy and East Village neighborhoods, Peter Cooper Village/Stuyvesant Town (PCVST) is the largest and most unique residential community in Manhattan, New York City. The combined development is bordered by the East River/Avenue C on the east, the Gramercy Park neighborhood on the west, the East Village and Alphabet City to the south, and Kips Bay to the north. From the many social events, seasonal greenmarket and ice rink, live music and movies, there is always something going on at Stuyvesant Town! L train to 1st Ave. The Ice at StuyTown – The ice rinks in StuyTown are available to the residents for free of charge during the winter months. A unique addition to the recreational facilities already available to the residents of Stuyvesant Town. Tompkins Square Dog Run - The city's first dog run was opened in 1990 as part of the renovation of Tompkins Square Park. Famous for it’s Halloween Dog Parade, Tompkins Square Dog Run also features a state-of-the-art running surface composed of decomposed granite sand, underground drainage, a large and small dog run, 3 swimming pools, picnic tables, as well as bath areas & hoses to spray off your dog before returning home. Check out the weekly Greenmarket! Partnering with GrowNYC, StuyTown presents an array of produce, meats, cheeses, breads and more each Sunday through late November. Weekly Greenmarkets include a craft corner for the kids and cooking demos featuring seasonal produce available at the market.